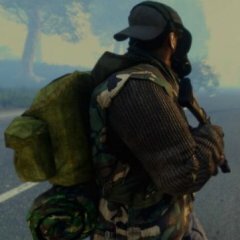 A "plug and play" mod that will spawn various sites and AI, fully randomly placed that will be dynamically de and respawning for ongoing survival action! NOTE: This is not a MISSION. This is a dynamic site and event spawner, that runs on top of any mission that you start while the mod is active. It spawns in sites based on player position, terrain and your settings (to change settings, you must edit your mission in Eden Editor - > Settings - > Addon Options). Never again will it be pointless, dull and boring to run around in armas beautiful forrests, just because all the loot and action is stuck in cities and other remains of civilisation! My mod will spawn in bandit camps to raid, small survivor hideouts to find and loot in the deepest forest, crashed helicopters that should definitely be searched before other survivors get there, ferocious packs of wild dogs that will jump you in the dark or animals to hunt for survival. Find a tame horse as a compagnion and tie it up next to your homebase while setting up barricades and boobie traps to fend off attacks against your newly claimed home. 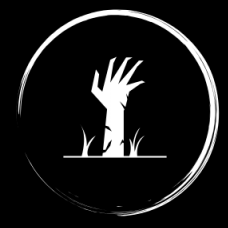 Zombies just got deadlier with the infection feature. When getting hit, you might catch a deadly infection that will drain your stamina and lifeforce over time. Stack up on anti virus pills to cure yourself! You will never rest easy, knowing that your steps may be watched from far and the moment you get too comfortable at a place, bandits pick up your trace and hunt you down! Whenever you start any mission (self made or from steam) , the mod will start to spawn in sites according to the default settings. 3. NOTE: the plane spawner requires you to place the following markers by default, else the planes spawn in the debug zone: "VD_PlaneMrkr_1,VD_PlaneMrkr_2,VD_PlaneMrkr_3,VD_PlaneMrkr_4". You may add or remove markers. 4. if you play on maps like chernarus, cover the empty terrain with large area markers and name them. enter the area markers name into the field under "VDA -1- General Settings" to blacklist that area from landsite spawns. 5. similar for shipwrecks and boats (cover inland lakes with additional area markers) so the shipwrecks and boats wont spawn in lakes inland. - Max Joiners melee weapon mod is automatically included in the loot economy and player equipper. AIs wont spawn with melee weapons however. This requires the max_melee weapons mod. No dependency is created. - This mod creates NO dependency! I have quite a bunch of ideas for new features and plan to improve and extend the mod going forward, no ETA gor such features however. Note that this mod requires CBA3. CUP Terrain Core is also recommended, as some structures from it are used. There is no dependency however. Ravage has been the inspiration for the mod and this mod is made with Ravage in mind. There is however no dependency, you can use the mod with our without Ravage. Thanks to all the great guys on the BI forum for their help and advise. With special thanks to George Floros GR, Johnnyboy, Mr H., HazJ, Larrow, pierremgi, Haleks, Grumpyoldman, Gunter Severloh, the Ravage folks, all followers of my topic thread and anyone i might have forgotten right now. Please subscribe, rate and let me know any issue that might occur, I would appreciate receiving any feedback that helps me improve the mod. Going to add it to my mission i been working on! 3. Paste the code into your notepad doc. 5. Move the init.sqf to your mission folder in the editor. 2. Copy this code ------> on the post above . 5. Move the banditcamp.sqf to your mission folder in the editor. This showcase only shows the camp spawning at one marker, but the actual script will chose one of multiple pre placed markers to place the camp. These preplaced markers, these i have to place myself correct? in the script, but theres only 2 of them as far as i can tell, lastly you have CUP items in there, this will require CUP mods? To work or is it dynamic based on what your running? The script will select one of the markers randomly, and then place the camp composition around it. the "_mark" that is used in the script will refer to that randomly selected marker throughout the script. this will change every time the script runs, hence the randomess of the camp spawns. The _houseArray1 = does the same with normal houses (e.g. the windmill or the small church). In this case however, it will spawn objects (crates, bags) where ravage will place loot in. If you do not use the ravage mod, this will just be cosmetic. I am not sure if that clarifies your question? I do not like the vanilla weaps, hence I use CUP, RHS or Thai warfare, even ww2 weaps. In this case you will need to replace the class names with items from either vanilal arma or the weapon mods that you are using. However please note the line below that will add matching magazines to the weapon. i would have 10 camps spawn correct? where these camps are vs someone playing my mission whom has no idea and would stumble apon them. or 5 more i add, that the markers will randomize themselves once the mission starts and then the camps will spawn on their positions correct? you should add some more notes and requirements if you will in your OP stating that the code uses CUP CUP weapons and items that will spawn, and if CUP is not present will the script ask for them or will just Ravage items spawn? Check out BIS_fnc_addWeapon, automatically grabs compatible mags and adds the desired amount to the unit, it also adds the magazine first so you don't have to reload the weapon prior to first use. house, barrel, no bandits, or ammo, and a truck, other 4 markers idk nothing spawned. the script and init script are in the mission folder, and the mission is set on the flat salt lake on Altis. the basic idea in my example is to only have one camp up at a time, for one hour or so. then it will despawn and spawn again at a new location. this way i want to achieve that the player keeps searching remote locations for hidden camps. if u know the helicopter crashsite spawnsystem in dayz standalone, this is the effect i want to achieve. as a quick fix for you, you would need to delete all the classnames in my script and replace the buildings and houses under (_tent, _tent2,...) with vanilla structures, the weapons and items that are not vanilla or ravage with classnames that are available for your mod set up. topic is now updated, the script can be copy & pasted if you use CBA and Ravage. To use it without those mods, delete any classname in the script starting with "rvg_"
This will add 2 plus a random amount of AI that will patrol the area. Random gear will be added following your ravage equipment/loot modules set up. It is no longer needed to place a "O_G_Survivor_F" in the Mission via Editor for the units to spawn (as shown in my video). @Jimmakos thanks man thats great, will apply this;) i ll replace the nvg example with a chance to spawn with gunflashlights! 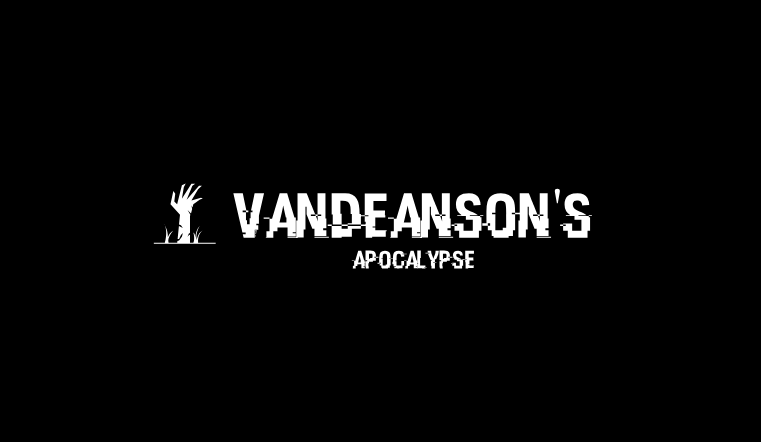 So Vandeanson, the AI will spawn at the camp now, we dont need the other AI script from Phronk, or add AI in the editor like you have in your vid to spawn at the camp? Paste the below script into the document and save it. a tip for you to make your installation instructions a bit more specific and clearer for the new guys. I would suggest moving and putting the title of the script above the code box so people dont get confused or lost as to what you referring too, or god forbid forget to use it. To name a marker, add the above name into the Variable Names field like this: mrkrA_1. Place your markers on flat ground to avoid issues with the object placement. Place your player and start your mission. paragraph you need to read that blends in with other text/sentences in the same area. Also imo when instructions stand out more its faster and easier for people to see whats what, and give them more an incentive to try, and use your work, and give you feedback. - copy & paste the file "banditcamp.sqf" and rename it to e.g. "banditcampB.sqf" in your mission folder. -  execVM "banditcampB.sqf"; <--- place this text onto a new line into the init.sqf file in your mission folder. - place markers with those new names on the map. -e.g. banditcamp.sqf will have markers in the southern part of your map whilst banditcampB.sqf has its markers in the northern part. Also this line, give it a title so it easy to see what it is, and it stands out on its own, and give it some order. read, and sort what it is i have to and can do. my biggest pet peeve is having to read a paragraph to learn how to do something that forces the would be information gatherer to have to sort and make sense of what to do with that information. If your interested i could edit my 2nd post there and create a whole tutorial outlining the instructions and then you can link the instructions, just a thought. You got something good here and its perfect for ravage, thanks for your work! Thanks for the constructive and positive feedback! Does the script work for you? Let me know if you would like to see other features or if things are not clear or even not working! Does the script work for you? Yes, I was recently just testing it on a blank map to see what shows up, but i have a good understanding of how its working. I haven't implemented it into my mission yet, as i like to create templates sometimes so i can just copy n paste things for future missions. Let me know if you would like to see other features or if things are not clear or even not working! One thing im noticing is when your using ravage and loot spawns, some of the loot (containers) are bunched together, or floating, these are just the ones inside the shacks, houses and windmills. aspect so they would attack you if they spotted you, or came within in a certain range of the camp? but the trigger would have to be large enough to where the camp that would spawn inside cant be seen, but still maintain that random dynamic build of the camp. When i think of camps, i think more of pitched tents, campfire, and the like, maybe add some more tent aspects to the camp vs a house. good idea, i can change their behavior to combat and search and destroy once player is close and even make them target you. also i will increase their skill level, it was too low initially. yep this is how i initially did it, call the sqf via trigger. should it just spawn one camp at a set location or should it start the dynamic spawn and despawn cycle? both is possible and i can send you instructions on how to do it. it would also be possible to amend my script so that the spawning only starts if the player is in the region where the camp is located (to safe fps). yes agreed, this is how i use it, however vanilla arma has a little less assets for that, hence i added some other structures. with cup and other mods you have a much bigger variety for a real camp (various tents and such). i can share my structures array that includes cup structures and makes the camp look more like something that was set up from scratch without fix structures such as houses. should it just spawn one camp at a set location or should it start the dynamic spawn and despawn cycle? both is possible and i can send you instructions on how to do it. it would also be possible to amend my script so that the spawning only starts if the player is in the region where the camp is located (to safe fps). AI you'll never encounter so yes a possible fps loss if any. so the distance should be fairly far maybe 500m minimum, really depends on where the player is at too. Btw i sent you a pm on a proposed format of the thread. I just recently started using your bandit camp script and I was wondering if there is a way to have the crate spawn more than one random weapon from the weapons array? I've played around with changing the values of _itemBox addWeaponCargo [_weapon,2 +random 4]; but it only seems to add more of which ever weapon is selected. If you or anyone else could explain to me what I need to do, I'd greatly appreciate it. I have drafted up an update of my instructions and the script itself that schould add some more explanation and clarity. I should be able to upload it today or tomorrow. point 2: will select a new random weapon from the "_weaponArray" and define it as "_weapon 2"
point 4: will use "_weapon2" and spawn the randomly selected weapon and matching magazines. this can be repeated with items or explosives as well. looking forward to hear if this worked for you. Thank you for responding to my question, it does make sense and I'll get back to you after I edit and test. Love the script by the way, best one I've come across in my internet travels. It works like a charm!. Thank you for the help Vandeanson. I've got kind of an off topic question maybe you could answer, if not no problem. I'm using this to spawn a map marker once a camp activates the trigger area, but once it moves to the next location the previous marker stays.. I'd like for the previous marker to always be deleted when the camp moves locations and just keep cycling. if that makes sense. Alright gents, both the script and OP are updated.